Are the Suburbs Ready for Coworking? So what is coworking anyway and why is it so popular? First of all, coworking does appear to be line with movement in other industries towards smaller more efficient usage. Smart and “tiny” houses, smart cars, and smart phones to name a few. You might consider coworking to be a “smart office”. Wikipedia defines coworking as “a style of work that involves a shared working environment, often an office, and independent activity”. Their description also says coworking often involves a social gathering of people with similar vision and values. Coworking.com calls coworking a “movement”. Examples of recent startups in the coworking industry trying to make a big dent in the market are Croissant & WeWork. Skeptics might say that coworking is a fad that’s limited to the bigger metro areas like Chicago. And it’s true that there are more coworking spaces in the city of Chicago than in the suburbs. Check out the map below showing several locations. But then again, there’s more of almost everything in the city. 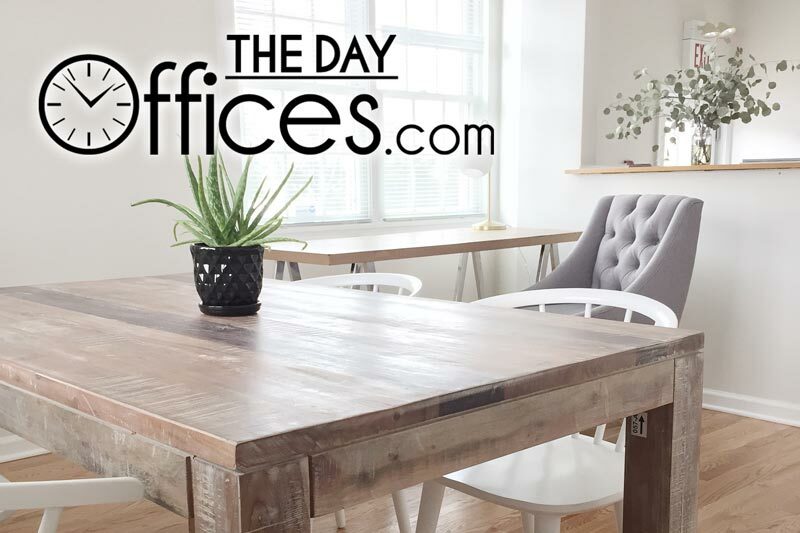 After advertising The Day Offices in Google for a 10 mile radius in the Chicago northwest suburbs, the data shows that people are indeed searching for coworking locations in the suburbs. 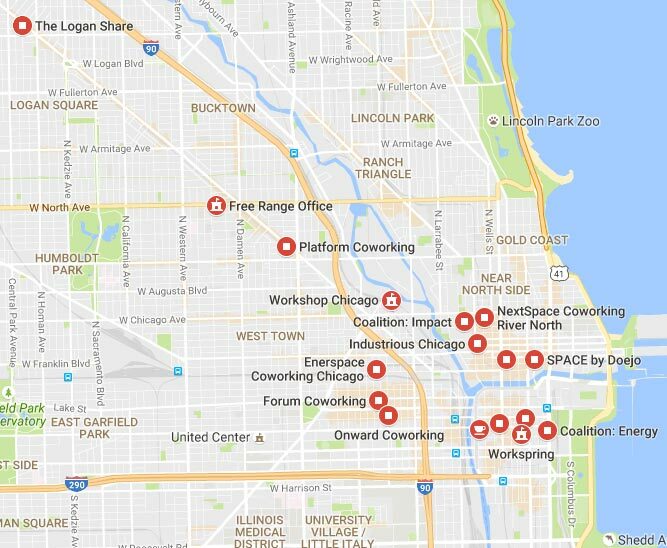 But there aren’t a lot of options to fill the need for coworking in the Chicago suburbs. A search in Google maps brings up mostly Regus Office locations (flexible corporate workspace) scattered in towns with a larger business presence like Oakbrook and Schaumburg. 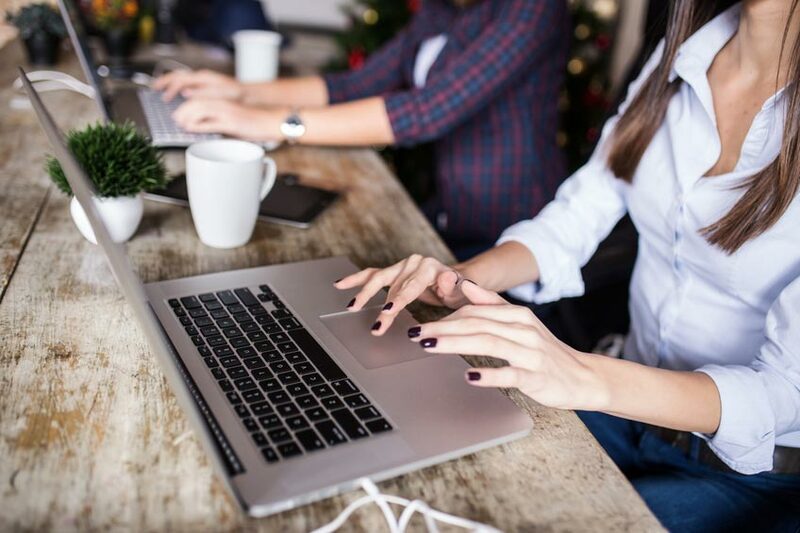 There are a few true coworking spaces scattered throughout the suburbs but they can be hard to spot. My suggestion if you’re looking for coworking locations near you is to search Google using your city name or zoom into a Google map and do a search for “coworking’. You may find some poorly promoted locations hiding near you! Regardless of how you define coworking, chances are you are probably just looking for a place to work that doesn’t have a contract to sign and monthly rent to pay for space you don’t need 24/7. That’s precisely why we opened The Day Offices in Bloomingdale where you can get flexible hourly office space at a low price with no ongoing commitment. Even though we don’t advertise our space as “coworking” per se, we’re already helping a lot of people who are searching for exactly that. Get more info here.